Joe Ashmead was a baseball and basketball star at Richmond Hills High School in Queens, New York. Ashmond was a standout collegiate during his four years at Cornell University in Ithica, New York. Ashmead never acheived stardom in the professional game, but enjoyed a decade-long pro career because he was a good shooter and a strong defender. 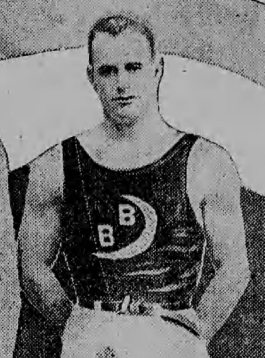 Ashmead was an intergal part of the the Brooklyn Crescents, a post-World War I independent powerhouse and the Syracuse All-Syrcause squad, a dominate upstate New York team in the early 1920’s .